As we already know that iOS 11, watchOS 4, and tvOS 11 firmware’s has been officially announced and released by Apple at WWDC 2017 this past week for iOS developers and non-developers (general public users). Now if you're looking forward to Free Download and Install iOS 11.3 Beta Without Developer Account and Apple UDID Registered to experience all new latest features and functions of iOS 11.3 Beta Update, then you can follow our this tutorial and step-by-step guide to manually install iOS 11.3 Beta, watchOS 4.3 Beta, and tvOS 11.3 Beta on Apple TV 4, Apple Watch, iPod Touch 6G, iPad Mini 4, iPad Mini 3, iPad Mini 2, 12.9-inch iPad Pro 2G, 12.9-inch iPad Pro 1G, 10.5-inch iPad Pro, 9.7-inch iPad Pro, iPad Air 2, iPad Air, iPad 5G, iPhone X, iPhone 8, iPhone 8 Plus, iPhone 7, iPhone 7 Plus, iPhone 6S, iPhone 6S Plus, iPhone 6, iPhone 6 Plus, iPhone SE, and iPhone 5S devices for Free. There are two different ways through which Apple iDevice users can Free Install iOS 11.3 Beta, tvOS 11.3 Beta, and watchOS 4.3 Beta without UDID and Developer Account. The very first method is via IPSW Files using iTunes software and the second method is via Apple Configuration Profile which will enable Beta OTA Update on all iOS-powered devices without Computer and iTunes software required. We are also sharing The Direct Download Links of iOS 11.3 IPSW, tvOS 11.3 IPSW, and watchOS 4.3 IPSW Beta Version Files and as well as Config OTA Profiles are also available below with working step-by-step guide. So let's get started. Disable all Passwords, Passcodes, and Find My iPhone security on your iOS device. Pre-Activated iPhone, iPad or iPod touch with a valid SIM card is required. 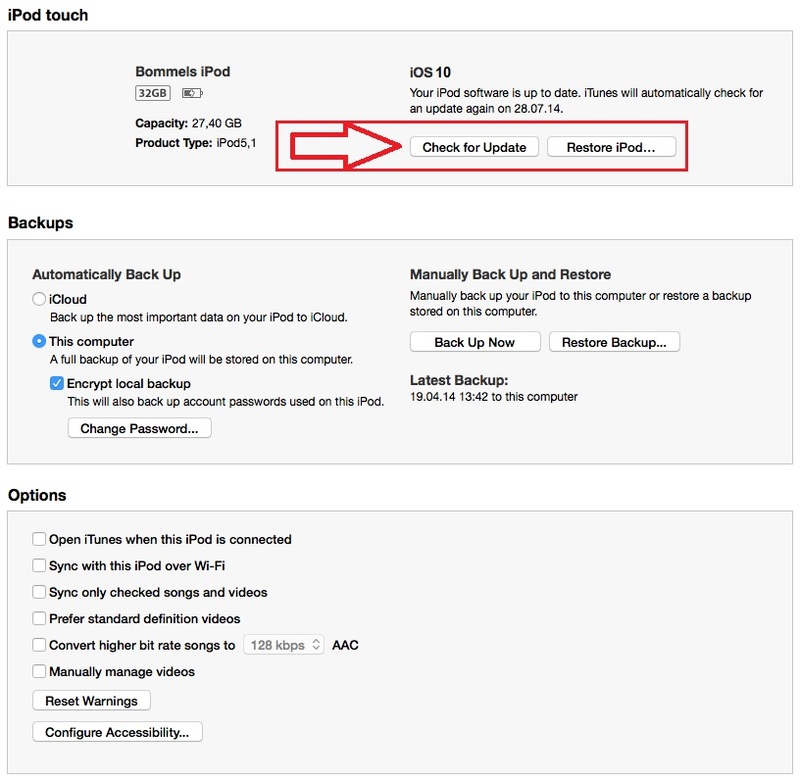 While using iTunes software, Make sure to Press Update button, instead of Restore button. Take your entire data backup, as it will clean install firmware on your iOS device. How to Install iOS 11.3 Beta Without Developer Account and Apple UDID? Step 1: You need to first free download iOS 11.3 beta.ipsw, watchOS 4.3 beta.ipsw, and tvOS 11.3 beta.ipsw files via direct links as already provided above. Step 2: Run iTunes software on your PC/Laptop, Connect iPhone, iPad, or iPod touch with data cable and sync with iTunes. Step 3: On iTunes home screen, Press and Hold "Shift Key on Windows" and "Option Key on macOS" while pressing "Check for Update" button on iTunes (see below image). After that choose iOS 11.3 beta IPSW update file. Step 4: Now wait and let the process gets completed within few minutes. You're done. Apple iOS 11 Beta without UDID (Unique Device Identifier) Registered has been installed successfully. Congratulations!! To offline install iOS 11.3 beta, tvOS 11.3 beta, and watchOS 4.3 beta without having PC, Laptop and iTunes. Following method will allow you to get iOS 11.3 Beta OTA Update for free installation on iPhone, iPad, iPod touch, Apple TV, and Apple Watch devices. Step 1: From above available download links, get iOS_11.3_beta_Profile.mobileconfig file. Step 2: On your iPhone, iPad or iPod device, Open "OTA iOS 11.3 Beta Profile" and when asked, "on which device would you like to install this profile?" Choose your respective iOS device. Step 3: Now Click on "Install" button, iOS 11.3 Beta Profile will now be installed and your device will be rebooted. Step 4: After the restart, Go to Settings App >>> General >>> Software Update, there you will see iOS 11.3 Developer Beta OTA Update message. Step 5: Simply Click on "Download and Install" button to start OTA iOS 11.3 Beta Update instantly. Step 1: Download watchOS_4.3_beta_Profile.mobileconfig file via above download links. Step 2: Run profile on your Apple Watch's paired iPhone. When asked for the device, select Apple Watch. Step 3: Now, Install and Restart your device, and navigate to Watch >>> General >>> Software Update option to get watchOS 4.3 beta free download. Step 1: On your Apple TV device, Navigate to Settings App >>> General >>> Privacy and hover over Send to Apple without clicking on it. Step 2: After that press, the "Play/Pause" button on your Apple TV Remote and press "Add Profile" on the hidden menu that appears. If any text field pops up, simply type this URL: http://bit.ly/tvOS11.3beta and press OK to get tvOS_11.3_beta_Profile.mobileconfig file. Step 3: When your device asked for Reboot, Restart it. Now the beta software should appear in Settings App >>> System >>> Software Update. You're done. Moreover, you can still free download the file to your computer or laptop for manual installation.